Recalls can happen in any industry and when they occur in the medical supply chain a proper execution is essential. According to a press release, Phillips Healthcare is issuing a worldwide recall of its Respironics Trilogy Ventilators, comprising models 100, 200 and 202. The voluntary recall is due to a defective component on the power management board that could cause the device to malfunction. If not corrected, the ventilator could fail to deliver mechanical breaths and fail to sound an alarm if it does malfunction. Given the device's purpose, this could lead to serious injury or death, however, no incidents have been reported yet. In the case of the ventilator, a successful recall is essential to protecting consumers and maintaining brand reputation. The company has announced that all providers, consumers and distributors with the device return them to the company and a replacement will be sent out. Tracking the purchase of the devices, Philips Healthcare has provided individuals and distributors with the serial numbers of the impacted units. Paper-based systems are simply not adequate when a company finds itself faced with a product recall. To carry out the process quickly and efficiently calls for data that is accurate and provided in real time. Automated data collection can help log information about products and shipments so that managers can locate and issue the recall almost immediately. Even minor errors in paper-based collection could lead to an incomplete recall and it will certainly slow the speed of the process. That's why accurate traceability is so important. Arming all employees with barcode scanning devices for data collection is the best way to make sure that information about a product's provenance, destination and current location are constantly updated. The amount of inaccurate information is also greatly reduced because there are fewer points in the data collection process for human error. This data should integrate with an existing ERP system so that there is access to SKUs, serial numbers and other tracking information that can help identify products that are part of the recall. It's also important that IT systems are able to perform timely product holds so that inventory which needs further testing is not unknowingly shipped to consumers. Companies should harness the power of automated data collection for improved traceability as soon as they can. 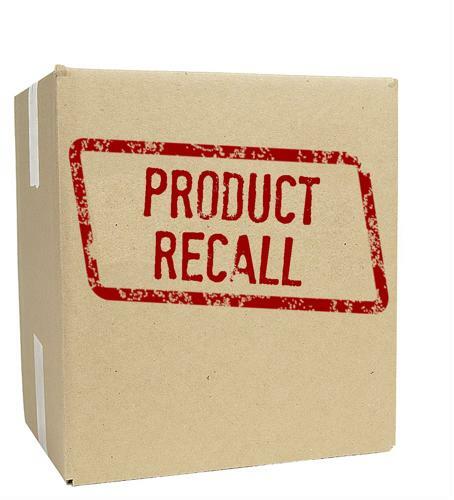 Once a product recall is underway, it will be too late to rely on advanced solutions. The software is needed beforehand to mitigate the impact of a recall on consumers and the company.